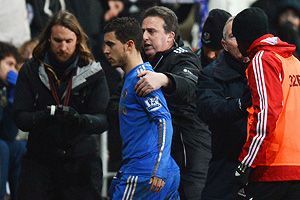 On Wednesday, in a League Cup semi-final match otherwise notable only for Rafa Benitez’s tactical banality, Chelsea winger Eden Hazard kicked a Swansea ballboy in the chest. This has led to some confusion about when it is and is not acceptable for a person to kick another person in the chest. Based on the reaction to Hazard’s kick, I would like to work through some of the theories on the matter. Theory: It is OK to kick someone in the chest if you are a truly great footballer. And that was not OK. 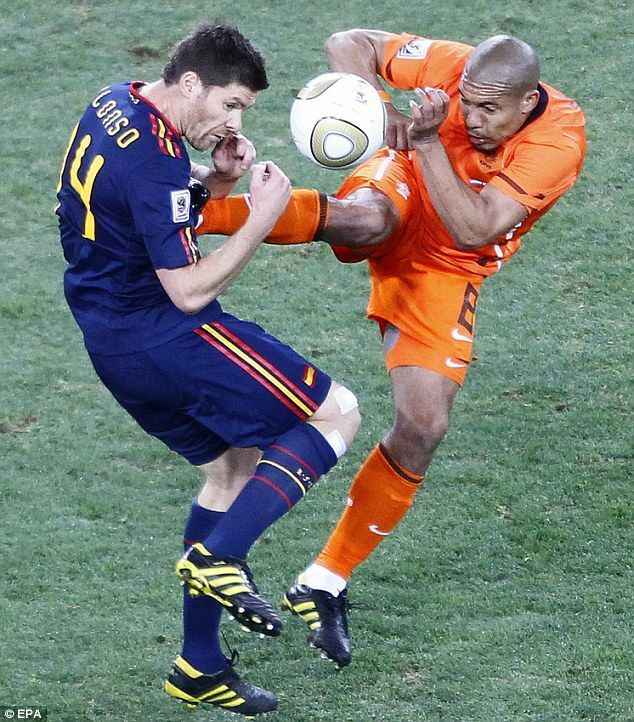 Verdict: Being a great footballer does not give you chest-kicking impunity. Theory: It is OK to kick someone in the chest when you have never kicked anyone in the chest before. Eden Hazard had an almost spotless disciplinary record while playing for Lille in France. He has never accrued more than three bookings in a season. Since moving to England, he had only been booked once prior to Wednesday, despite being the target of a number of Good Old Fashioned English Professional Tackles (GOFEPTs). Hazard’s only questionable moment as a professional footballer had come off the pitch (a hamburger-eating incident with the Belgian national team). So should he be let off the hook for a first offense, even if that offense involves chest-kicking? No. This theory, taken to its logical conclusion, means that almost everyone has a free pass to kick someone in the chest. For example, I have never kicked anyone in the chest. I am not interested in living in a world where people like me are locked and loaded for a forgivable chest-kicking. Verdict: Just because you have not kicked anyone in the chest yet, it does not mean you have a one-time-use, chest-kicking free pass. Theory: It is OK to kick someone in the chest if that person is wasting time in a professional soccer match. On the one hand, time wasting is a violation of the rules of soccer, and a ballboy should never interfere with the natural flow of the game. However, this is why stoppage time exists. Like, exactly this reason. You don’t have to kick a guy to get the time back. The referee just adds it on at the end. And yes, the vagaries of stoppage time allotment add some urgency to the situation, but are we talking about chest-kickingly urgent stakes? In the League Cup? Verdict: Time wasting is not an offense that deserves to be punished by chest-kicking. In fact, nothing that happens in a League Cup match should result in a punitive chest-kicking. Theory: It is OK to kick someone in the chest if there is a soccer ball near their chest. Soccer players are trained to kick balls. And sometimes balls end up near people’s chests. And then things like this can happen. And that is not OK. Verdict: It is not OK to kick someone in the chest just because there is a ball near his chest. Theory: It is OK to kick someone in the chest when he is 17 years old. Thanks to the intrepid British media, we know pretty much everything there is to know about kickee Charlie Morgan, including that at 17, he’s a bit long in the tooth for a ballboy. That’s old enough to convincingly lie about making it to third-base with your Icelandic girlfriend (Wales is the Canada of England, so Iceland is the Canada of Wales … probably, I don’t really know). Is it old enough to deserve a chest-kicking? Perhaps. That said, Morgan is still underage, and the most effective form of discipline with teenagers is rarely violence. Violence only begets violence, and violent teenagers become violent adults. These are not cycles that should be encouraged. Verdict: Stop kicking people in the chest. Theory: It is OK to kick someone in the chest when that person is set to inherit a great deal of wealth. Verdict: It could maybe be OK to kick someone in the chest because of their inherited wealth, but seriously, stop kicking people in the chest. Theory: It is OK to kick someone in the chest when the chest kicker is on a team you support. Ah, there it is. What is it about the power of those who play the beautiful game with particular beauty that can drive a supporter to defend the indefensible? On the Suarez Spectrum of Controversy (SSoC) a chest-kicking ranks somewhere between an intentional handball and biting an opponent’s ear, well below using a racial slur toward an opposing player. Yet, every time Suarez does something stupid (oh, hey, way to admit to diving last week! ), my initial instinct is to hope the entire incident was a huge misunderstanding. I desperately want to continue to pull for Suarez, and his amazing brand of soccer, without having to think “yeah, but …” every time he nutmegs a defender. I’d imagine similar motivations for some Chelsea supporters in this moment. But chest-kicking, for all of its faults, is not racism. Hazard’s crime, though unlikely to be forgotten, will likely wind up on the periphery of his biography when his career is over. He’ll sit out a half-dozen games and then never kick another guy in the chest again. Verdict: Chest-kicking, while not OK, is a venial sin. So, Chelsea supporters and Belgians, if you really want to let your guy off the hook, fine. But expect to be laughed at. Your superstar kicked a ballboy in the chest.